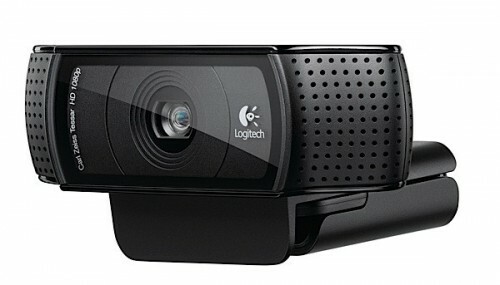 Logitech's 1080p Webcam Shows Off Your Flawless Skin | OhGizmo! Logitech C910 HD Pro Webcam Reviewed, Verdict: Nice Evolutionary Upgrade. As much as I enjoy the visual bounty of full HD resolution, I still feel a little disenchanted to discover just how wrinkly, pimply and otherwise unsightly people on television really are. It’s almost as if they’re as real as the rest of us, and that makes me sad. You too can broadcast your imperfections to anyone who will dare look at your mug over Skype’s 1080p capable video calling feature. But you’ll need Logitech’s HD Pro C920 to do it. The C920 also does 720p with other IM clients, like Windows Live Messenger. Resolution of course isn’t everything, and you’ll be pleased to know that the webcam offloads a lot of the video processing from the PC and does it right in the camera, instantly compressing to H.264 and adjusting a bunch of variables to give a smooth, clear image. Carl-Zeiss optics and a 20-step autofocus round out the specs.